HomeKit is available via an update to the company's PowerView app for iPhones and iPads, used to control its PowerView Motorization Hub. People must specifically own a second-generation hub to access HomeKit. The PowerView hub first launched in 2017 with Amazon Alexa and Google Assistant support. Hunter Douglas had said HomeKit would come by the end of that year, and it's not clear why the update took so long. HomeKit's encryption scheme can impose relatively hard demands on processors, though, and until relatively recently Apple insisted on dedicated chips. 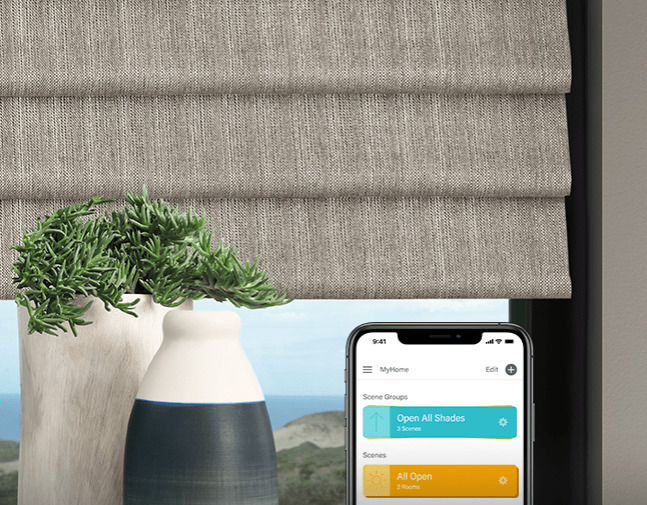 With the standard in place, owners of Hunter Douglas shades should be able to control individual windows through Siri or Apple's native Home app. That also implies integration into scenes and automations -- something particularly important for smartshades, which are typically set to open and close at specific times or in response to temperature. Pricing for Hunter Douglas products vary based on the exact treatments a home requires. Aside from HomeKit, Alexa, and Google Assistant, PowerView is also compatible with platforms like Nest, Logitech, and IFTTT. A simpler HomeKit-compatible alternative, Ikea's Smart Shades, are shipping to the U.S. on Apr. 1. If it requires a hub I am not interested. It is not the only way to implement Homekit. Generally, like my app controlled blinds, it uses low power BlueTooth to control it. Because it's not plugged into the wall. It has a battery pack that gas to be charged up once in a while. There are a few ways of doing this it you can add the solar option, which is what I did. A small solar panel stuck onto the window. It's enough to keep the battery pack topped off. I don’t mind using a hub, if there’s ever an issue where things need to be reset it’s so much nicer with the hub based devices. I was having some weird issue with Home last year. The Home app would not do anything, upon startup it would give me message saying something like “Searching for Accesories” and that’s it. Resetting Home was the only option that did anything, but that means everything got wiped out; all my accessory names, scene and automations. Then I would have to add everything to Home again, basically starting fresh. I had to do that at least 3 times in 3 months and it got really annoying. Devices with hubs like Hue and Lutron were simple, I’d add the HomeKit code and seconds later all of the related devices appeared and were ready to go. For non-hub devices like my iDevices switches & outlets and Honeywell thermostats I had to add each device individually (and for some reason the thermostats take a long time, sometimes 30 minutes of screwing around to get them recognized). So, adding Hue and Lutron would take me less than 5 minutes combined, but for everything else I’d spend another 90 minutes (keeping in mind that Hue and Lutron have more devices in my house each than Honeywell and iDevices together). I’ve been interested in adding some HomeKit blinds for a while, but the Serena shades are ridiculously expensive for what I want. I want to put blinds in our little basement windows that get quite a bit of southern exposure, they’re about 2’ wide and 1’ high. I don’t remember exactly but the Serena shades came to over $400 each. No thanks. Hopefully Hunter Douglas can do a similar size but not be so outrageously priced. I checked out the IKEA offerings but I think their sizing was too limited for my application. Yeah the Serenas were quoted at $600+ a window for my home. Waiting for something more reasonable, maybe from Ikea. I can't believe how much people pay for this crap. Outrageous. The plain (non-homekit) Hunter Douglas blinds we got for my son's room quit working after a few years. Not about to pay $$$ for these.